Yes, the wallpaper on your MacBook is not a CG concoction but a real location. 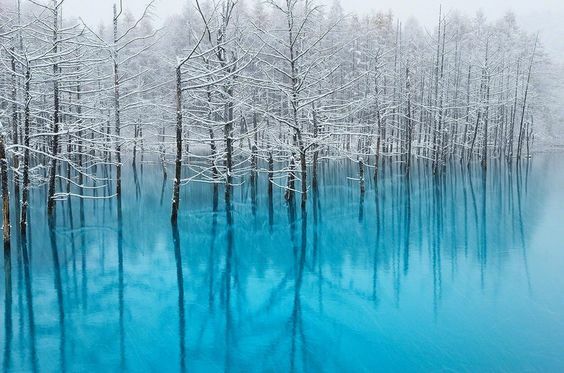 The Blue Lake is located near the Shirogane Onsen. Though the lake itself is a man-made creation made to stave off erosion, the blue water was completely unexpected. Minerals that had dissolved into the soil eventually diffused into the water, turning it into the breathtaking color you see today. The scene is mind-blowing whenever you arrive. Simply take a 5-minute walk along a dirt road, and you will find yourself in a place of supreme tranquility.